소렌토, 이탈리아의 카사 수시 | 호스텔월드에서 예약하세요. 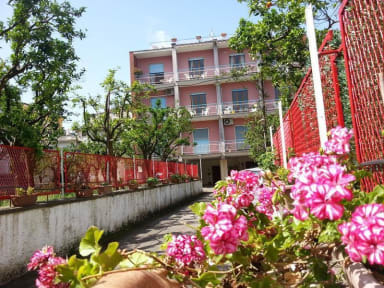 Villa Susy is located in Sant'Agnello in a realy quiet but central area just 15 minute walk from Sorrento's center, only 5 minutes walk from the beach, shops, bars, pubs & restaurants. Bus stop & train station to reach all the attractions are just 5 minutes walk away! 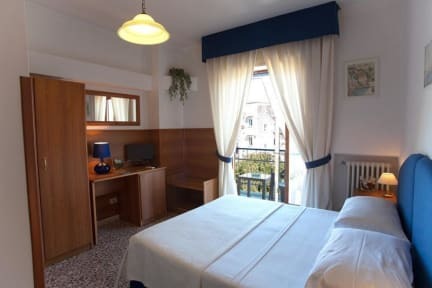 Rooms are furnished with all essential comforts and services to let you spend a pleasent and peaceful stay: air conditioning, hairdryer, minibar, linen, TV, private ensuite bathroom with towels, soap and shampoo. Villa Susy has a central but really quiet residential area just 5 minutes walk from: train station, bus stop, beach, shops, restaurants, pubs and bars.